Enter an address below to see our service availability for that area. You can also click here to view our CORE and EXTENDED Service Areas on Google Maps. 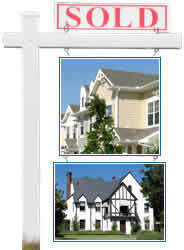 Realty SignPost is Washington DC's Premier Real Estate SignPost Rental and Installation company. We provide FAST, DEPENDABLE and PROFESSIONAL signpost service to the DC real estate community. Join over 3000 agents and over 300 agencies who utilize our services and experience our 90%+ next business day job completion. We offer three different service plans, which include the storage of your signpanels and the opportunity to rent brochure boxes and “PowerPunch” riders with your signpost installation. 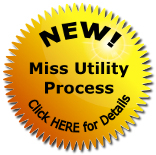 We provide RESPONSIVE customer service, and order status information via our website. We THANK YOU for your business, and look forward to meeting your real estate signpost needs. Power lines and trees are down due to the strong winds. The installers are working to complete as many jobs today 3/3/18 as conditions allow. Thank you for your patience! If your signpost is leaning because of the weather please do not hesitate to place a service call or email a service call to info@realtysignpost.com, there is no charge due to the weather. per post, includes the installation and removal of the post.